10.9% voted Yes while 86.5% voted No. RANK AND FILE gardaí have voted overwhelmingly to reject the new public pay deal. In a ballot of members of the Garda Representative Association on the terms of the Lansdowne Road Agreement, 10.9% voted ‘Yes’ while 86.5% voted ‘No’. Under the new deal gardaí would have received a total of €2,000 extra gross pay over the next three years. However, now that they have rejected the Lansdowne Road Agreement, they will no longer be working the extra 30 hours a year they agreed to in the previous public pay deal. Average salaries for a rank and file members range from around €23,000 for the newest recruits to around €45,000 after 17 years of service. The new deal would also have afforded gardai access to the Labour Court with disputes in relation to the agreement. The Central Executive Committee of the GRA had decided not to make a recommendation on this ballot. A spokesperson for the association said the committee will be meeting during the forthcoming week to discuss the implications of this outcome. Turnout was 60% of members of garda rank entitled to register their preference in this ballot. The LRA has been accepted by the Public Service Committee of ICTU. That sets out the government’s policy on industrial relations for the public service for the next few years. Today’s result follows another rejection of the deal by garda sergeants and inspectors earlier this month. The Association of Garda Sergeants and Inspectors and the GRA are not affiliated with the Irish Congress of Trade Unions and so do not have to accept the majority verdict like other unions that rejected the deal. Email “Rank and file gardaí overwhelmingly reject new public pay deal”. 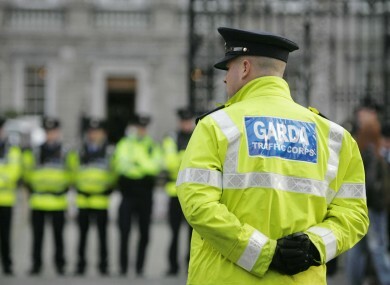 Feedback on “Rank and file gardaí overwhelmingly reject new public pay deal”.